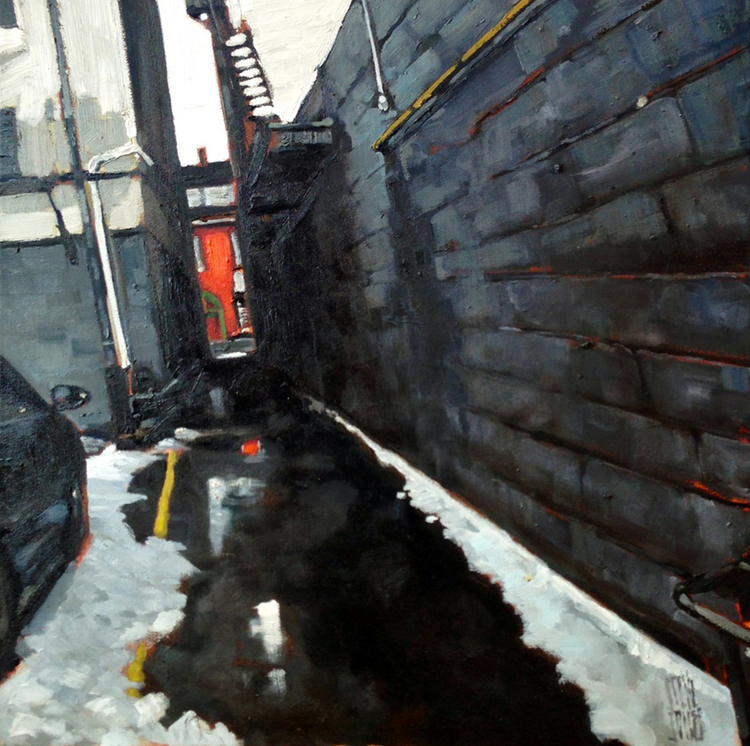 Stewart Jones is an immensely talented Canadian artist with a passion for painting vivid cityscapes — many set in Ontario — that are simply wonderful. 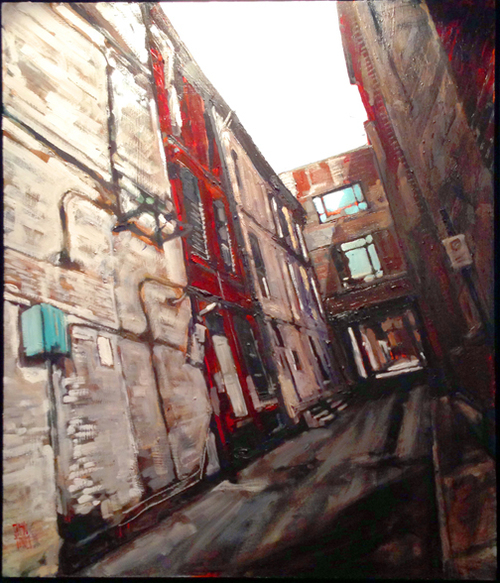 He refers to his paintings as “love letters to the forgotten corners and alleyways” of our cities. 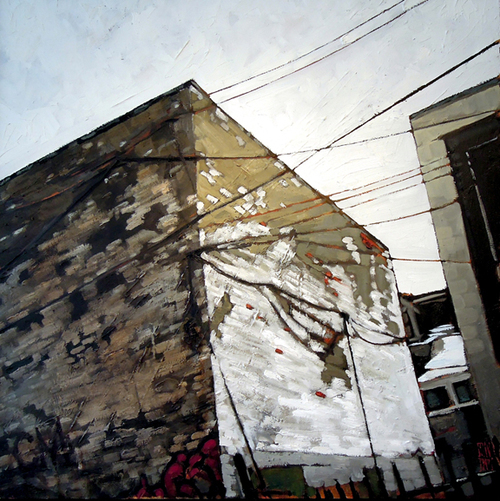 Jones’s images often depict buildings at irregular angles or vantage points and feature lush brushstrokes that together energize his work and provide a fresh perspective on the often-overlooked, uncelebrated urban structures and byways that constantly surround us. 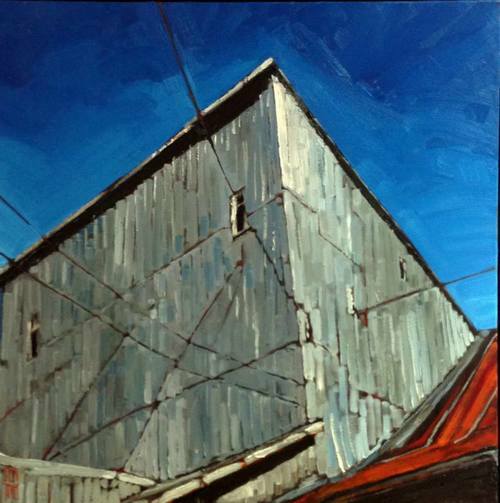 More of Jones’s beautiful art can be seen at his painting website here and on his Facebook page. These are great. 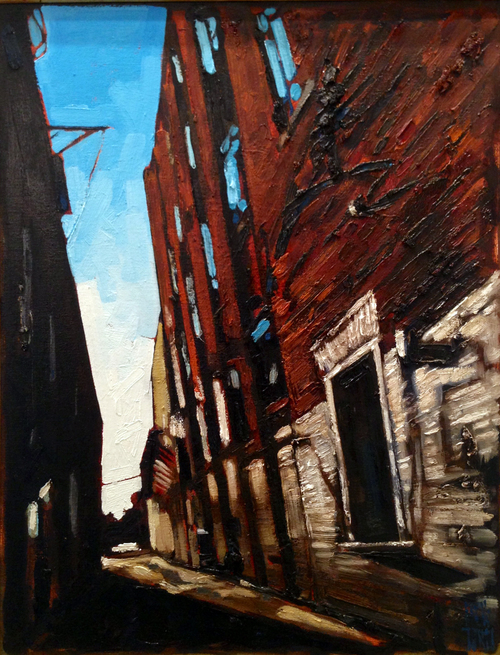 I love Urban Alley! Yes, that’s a terrific work! OH! I love these thank you for choosing to share them! Those urban decaying structures always give me the heebeejeebees. Glad someone sees them in another light. Absolutely stunning. 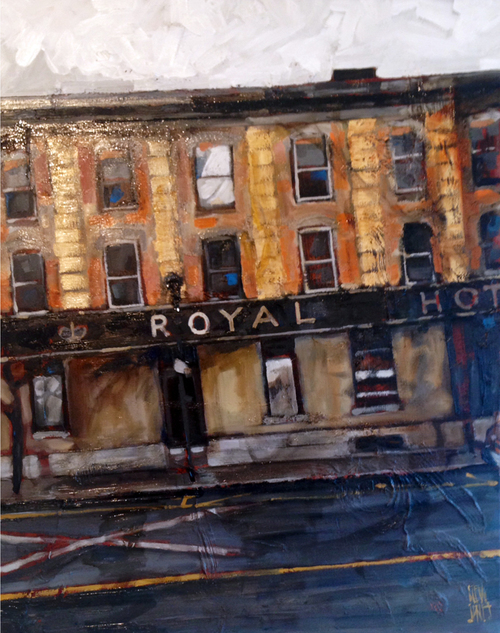 By happy coincidence, I can provide an update on the Picton Royal Hotel, having just returned from a vacation in Picton. The hotel is now signposted for restoration. Wouldn’t that be terrific? Penny, that’s terrific — thanks for sharing this about that striking hotel! Yes, his work is quite good! Light, shadow and especially texture. Nice! Jane, thanks for pointing out the textural aspects. I love that as well! Happy Canada day in advance, Brett.